He was appointed to the Odesa regional prosecutor's office on 16 March. A prosecutor of the Odesa regional prosecutor's office, Oleksandr Modebadze, who was appointed to his post by Deputy Prosecutor-General Davit Sakvarelidze, has been caught red-handed, a prosecutor of the Prosecutor-General's Office, Vladyslav Kutsenko, has said at a briefing. 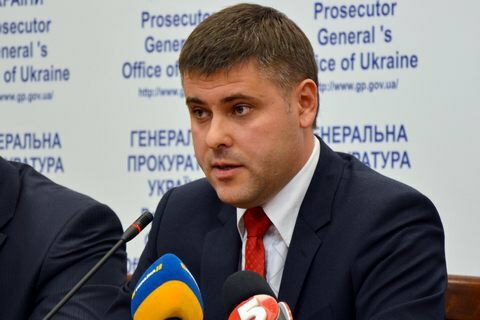 "Around an hour ago, investigators of the military prosecutor's office of the southern region, acting on the materials of the security service, detained a prosecutor of the Odesa regional prosecutor's office, first-class lawyer, Oleksandr Tarielovych Modebadze, who was appointed by Sakvarelidze on 16 March, when he was accepting a bribe of 5,000 dollars," he said. As reported earlier, Sakvarelidze was dismissed by Prosecutor-General Viktor Shokin early on 29 March. In Sakvarelidze's words, his dismissal was not agreed with the president. Odesa regional governor Mikheil Saakashvili described the dismissal as a "dangerous precedent" and said it was done by "mafia against which he was fighting". Gorshenin Institute to hold news conference "Crimea: hungry summer 2016"